Claire J. Samuels « James McElroy & Diehl, P.A. Claire Samuels joined James, McElroy & Diehl in 2007 and became a partner in the firm in 2012. Claire’s practice primarily focuses on the issues of child custody, child support, spousal support (post separation support and alimony), equitable distribution, and domestic violence. Claire is a certified Collaborative Law Attorney and a member of the Charlotte Collaborative Divorce Professionals. As a child of divorce, Claire understands the emotional and financial impact divorce can have on families. 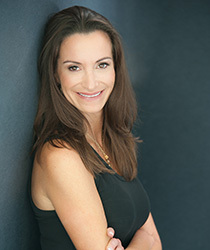 She is committed to supporting and educating divorcing parents on alternative resolutions that will empower them to resolve their legal and financial disputes while preserving the civility that allows them to effectively co-parent their children. In cases requiring litigation, Claire brings her experience to the courtroom and is a zealous advocate for her clients. Claire’s passion for helping families in crisis extends beyond her professional life. Over the years, she has worked with numerous non-profit organizations serving women and children. Claire is a member of the Women’s Impact Fund and currently serves on the Charlotte Community Leadership Council for the Children’s Home Society of North Carolina. Claire also served on the task force of the eNOugh Campaign to End Domestic Violence and supports the Jamie Kimble Foundation for Courage which is committed to raising awareness and ultimately putting an end to domestic violence before it begins. Claire also enjoys spending time with her family and friends, running and practicing yoga. Preston focuses on appellate practice and trial-level litigation support in numerous areas of the law, both civil and criminal.